If you were going to Oz would you have worn the Ruby Red Slippers, or ? Dorothy wore one pair of red shoes for her entire journey over the rainbow to Oz… I can’t believe she only took one pair of shoes. When I travel I pack far too many shoes, and they’re all in only one colour: black. 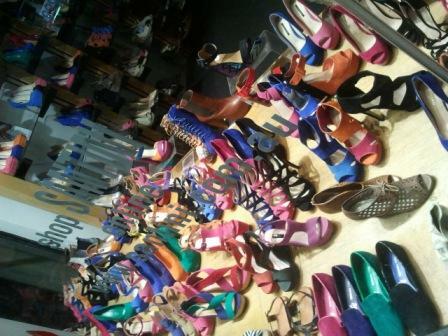 There’s a rainbow of shoe colours & styles out there both for footwear and life-wear. What colour shoes do you wear? Does it say something about you? I’m always surprised at my choice because as a kid my favourite shoes were bright orange sandals with big flower decorations. I hated the black leather lace-up school shoes that were mandatory, and always looked for a way to flout the rules. This entry was posted in Blog and tagged Australia, blogging, In My Shoes, my life, Women in Focus.